Fans of old school, rejoice! 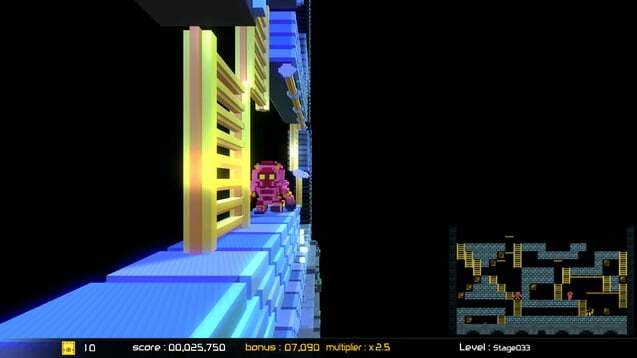 The classic Lode Runner is getting a brand new voxel facelift in Lode Runner Legacy. It is on Steam Greenlight now, so if you like what you see, be sure to upvote it. As if that wasn’t enough, Legacy will also feature several different game modes as well as a nifty and comprehensive level editor. To see more details about Lode Runner Legacy, check out the massive Press Release below. And stay tuned to oprainfall for more retro gems. Bellevue, Wash.–April 7, 2017–Tozai Games is pleased to announce the classic platformer series Lode Runner is now on Steam Greenlight. “Lode Runner Legacy” is the latest edition in the classic Lode Runner series, a masterpiece of action puzzle gaming first introduced in the U.S. in 1983 by creator Doug Smith. This new version features all of the high-adrenaline gameplay Lode Runner is known for with an updated Voxel visual style and powerful editors that let players create their own Runners and items. The Steam Greenlight campaign can be found at http://steamcommunity.com/sharedfiles/filedetails/?id=894389640. In Lode Runner, players manipulate “Runner” to infiltrate the evil empire and recover stolen gold while avoiding enemies and minefields. 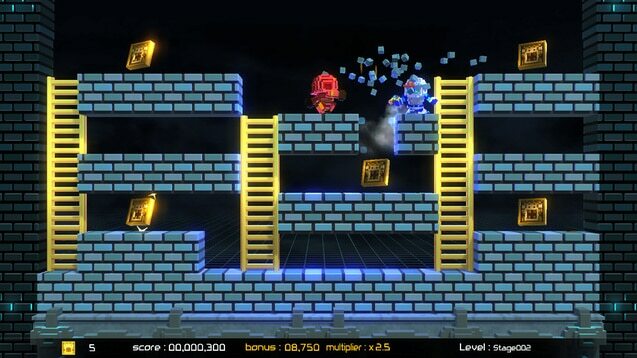 The ingenious balance of puzzle and action gameplay from the original game is alive in “Lode Runner Legacy,” along with many new features that offer a fresh Lode Runner experience to both new players and returning fans alike. Lode Runner’s frantic action takes place in static, maze-like levels, where a single player dodges enemies while running and climbing platforms to reach and claim stacks of gold. Jumping and shooting foes is forbidden, but blocks can be blasted to access lower platforms or trap pursuing enemies. Winding through ever-increasing levels of complexity is not for the faint of heart. Adventure Mode: Sneak through the evil Empire and bring back stolen gold! Puzzle Mode: It’s all puzzles, all the time. No enemies allowed. 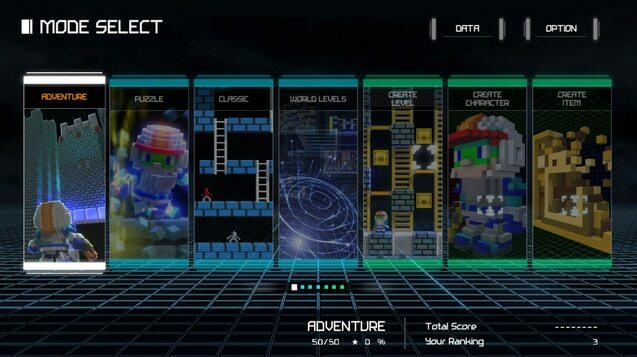 Classic mode: Play the original 150 levels in 3D! World Levels: An outstanding collection of user-created levels. Level Editor: Create your own levels and share with other fans. Character Editor: Design your own Runner and enemies. Item Editor: Create custom gold items. Online Rankings: Compete against other fans in global standings. “Lode Runner Legacy” is expected to launch this summer. For more information, visit the blog at https://www.tozaigames.com/legacy/en/. From the classics of yesterday to the original IP of tomorrow, Tozai Games delivers lasting gaming experiences to passionate gamers around the globe. Based in Bellevue, Washington, and Kawasaki, Kanagawa, Japan, Tozai Games is an experienced team of professionals dedicated to building successful licensing and publishing relationships around the world.